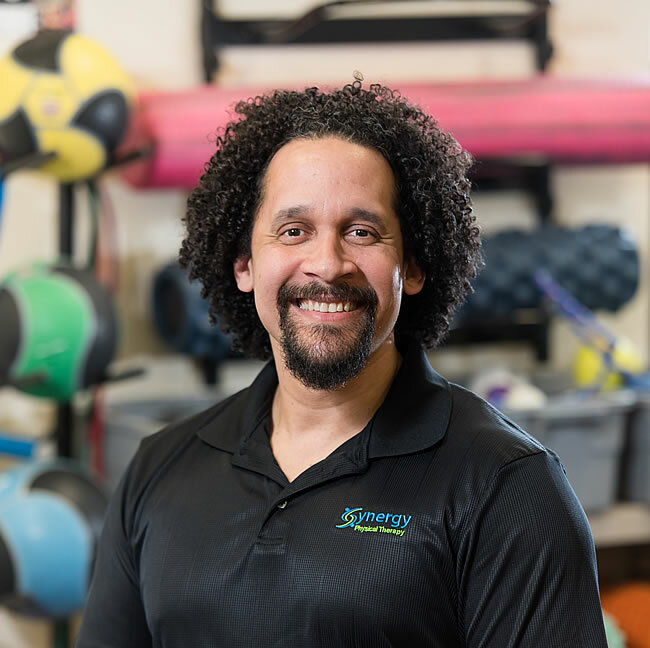 Michael has been with Synergy Physical Therapy since 2015. He has a passion for understanding how the body works and is well versed in manual therapy and rehabilitative exercises. He is also an active member of the Northampton community. He has coached boys’ soccer with the Northampton Soccer Club for over 5 years, is a longtime volunteer for Jackson Street Elementary School, and has acted in numerous local theater productions. When he’s not at work he loves camping, kayaking, and hiking with his family. Michael is also an ACE certified personal trainer.